The conservative Austrian People’s Party (ÖVP) and the far-right Freedom Party (FPÖ) agreed on a coalition deal and presented the government’s programme and ministers on Saturday. The government is to be sworn in today. It will be the most right-wing government in Vienna since the Austro-fascist state under Kurt Schuschnigg, who governed Austria as a dictator from 1934 until the Anschluss with Hitler’s Germany in 1938. The FPÖ is a member of the “Europe of Nations and Freedom” group within the European parliament, which includes France’s Front National, the Dutch PVV of Geert Wilders, Italy’s Lega Nord and other right-wing extremist parties. Sebastian Kurz, the incoming chancellor, will be Europe’s youngest head of government at the age of 31. Over the past year, he took power within the ÖVP in a coup and has dictated the party’s course ever since. 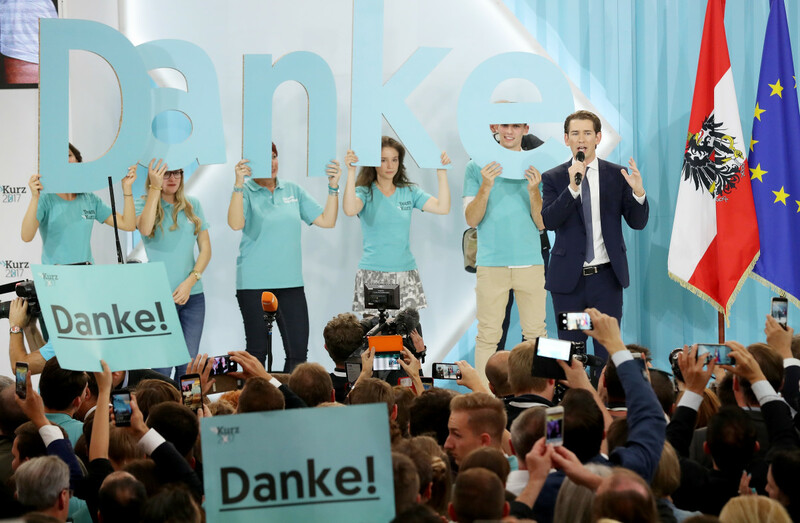 During the election campaign, he imitated the FPÖ’s anti-refugee agitation and law-and-order slogans. While Kurz and the head of the Chancellor’s Office, Gernot Blümel, filled the seven ÖVP ministries with lesser-known individuals, characterised above all by their loyalty to Kurz, the six FPÖ ministers control a number of key posts. As many newspapers pointed out, the FPÖ controls “all forces in uniform.” For the first time since 1945, one party holds the posts of interior minister, foreign minister and defence minister. The deputy chancellor will be FPÖ leader Heinz-Christian Strache. He has enjoyed a long career in various far-right groups. Because of his participation in military sports with people later convicted as right-wing extremists, a complaint was filed against him due to a suspicion of National Socialist activities. He was even arrested at a neo-Nazi event in Germany 30 years ago. Mario Kunasek will be minister of defence. The 41-year-old junior officer is a long-time leading figure within the FPÖ who maintains close ties to the neo-Nazi camp. He has been documented as having connections with the Identity Movement and the Party of the People, an openly fascist party with neo-Nazis prepared to commit violence. In January 2016, he called on his Facebook page for asylum seekers to be blocked from entering the country. FPÖ politician Norbert Hofer, who lost the 2016 presidential election to the Green Alexander Van der Bellen, will be minister for infrastructure. Hofer, who likes to portray himself publicly as a moderate, joined a right-wing extremist student league at the age of 37 as an honorary member. Karin Kneissl, who is a non-party figure but was nominated by the FPÖ, is to serve as foreign minister. She is known for her sharp criticism of the EU and support for the independence of Catalonia. Kneissl cut her teeth for the FPÖ at the height of the so-called refugee crisis in 2015. Kneissl claimed that the refugees, most of whom had fled wars in Iraq and Syria, were largely economic refugees. Justice Minister Josef Moser is also a former FPÖ member. The non-affiliated jurist ran in the election on the Sebastian Kurz List and was nominated by the ÖVP. Moser was recruited to the FPÖ in 1991 by Haider and led his office for a year. From 1992 to 2002, he was parliamentary group leader of the FPÖ. In 2004, he switched to the Austrian Administrative Court, where he repeatedly appeared in public to call for drastic budget cuts. The police will be significantly strengthened; 2,100 officers and 2,000 trainee posts will be created. The powers of the police and intelligence agencies will be expanded. The surveillance of internet communications will be broadened substantially. The plans for a military build-up are formulated in extremely vague terms. 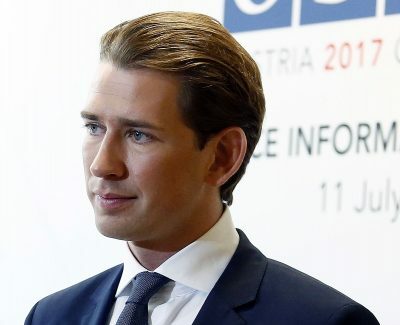 Reference is made in this area to the “appropriate, legal, organisational and budgetary equipping of the army.” However, already in the grand coalition when he served as foreign minister, Kurz was an advocate of significantly expanding the army. The government is planning major attacks on refugees and foreigners. It intends to introduce stricter controls on Islamic kindergartens and private schools, and have the option to shut them down as a last resort. Asylum seekers will be forced to hand over all of their money when they make an application so that it can be used to cover the costs of the procedure. The authorities will be given access to asylum seekers’ mobile telephones so that officials can confirm travel routes and identities by means of personal information and social media accounts. Asylum seekers will only receive benefits in kind and no money. In addition, the government wants to reduce the time-frame for filing an appeal during an asylum procedure. According to the government’s programme, doctors’ confidentiality obligation will be relaxed if the illness of an asylum seeker is “relevant to primary care.” Given that primary care also includes health insurance, this could have a wide-ranging meaning and serve as a pretext to abolish democratic rights. The attacks on the weakest sections of society are only the prelude to a major offensive against the working population. Basic social welfare benefits are to be regulated at a uniform rate across the country and benefits for a couple in a relationship will be capped at €1,500. This will mean painful cuts for the needy. Under the heading “More justice in the building of social housing,” the programme plans the regular “adjustment of rent interest” (i.e., rent increases) in social housing, on which many people in major cities, particularly Vienna, rely. The goal is the elimination of the building of social housing as a whole. The grand coalition has attempted for more than 10 years to cut pensions. Kurz and Strache are now firmly determined to enforce this. To this end, existing pension privileges will be eliminated and the retirement age repeatedly increased. In line with Germany’s Agenda 2010, the government will change the reasonable job regulations for the unemployed. This will result, for example, in skilled unemployed workers in Vienna being forced into the tourist industry in Tirol for low wages. With flexibility of the labour time law, protections for employees will finally be broken. The confirmed expansion of the workday to 12 hours is a first step to this end. The reintroduction of student fees to strengthen government finances will once again turn studying into a privilege for the rich. Additional cost-cutting will follow, since a so-called debt brake is to be added to the constitution. When in 2000 then ÖVP leader Wolfgang Schüssel formed the first government with the FPÖ, led at the time by Haider, mass protests occurred in Austria and sanctions were imposed in Europe. Demonstrations have once again been called in Vienna, but the EU did not utter a syllable of criticism, even though the Kurz-Strache government is much further to the right than the Schüssel-Haider government. In a country where the ruling class resorted to dictatorship in the early 1930s and largely backed the Anschluss with Nazi Germany in 1938, the shadow of the past is once again present. This development can only be understood if one examines the bankruptcy of the former workers’ parties and movements. Today, Social Democrats and trade unions, who formerly participated in protests, are just as right-wing as Kurz. The SPÖ declared its willingness to enter a coalition with the FPÖ, something that has already occurred at the state level. The trade unions are among the strongest advocates for cooperation with the FPÖ. President Van der Bellen, whose victory over the FPÖ’s candidate Hofer was praised as a victory over right-wing extremism, did not impose any conditions on the formation of the new government, even though he had options to do so. He merely insisted that it declare its unrestricted loyalty to the European Union, which it subsequently did. This was made all the easier because there are a number of right-wing governments in Europe. It is well known that Strache would like to make Austria the fifth member of the Visegrad group of states made up of Poland, Hungary, Czech Republic and Slovakia, all of which are governed by nationalist, right-wing regimes. The FPÖ also concluded a treaty of friendship with Vladimir Putin’s United Russia.